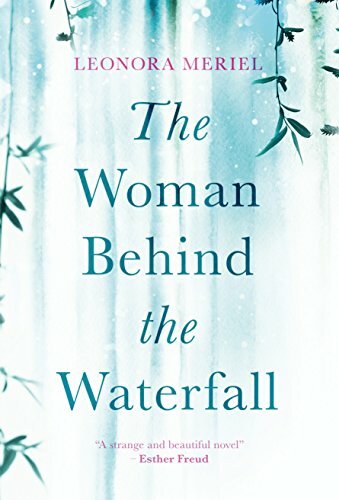 The Woman Behind The Waterfall follows Angela as she struggles to help her mother find happiness while trying to avoid her dark past. What was the initial idea behind this story and how did that transform as you were writing the novel? When I started writing The Woman behind the Waterfall, I was at a crossroads in my life. I had turned 30, decided to leave my job running a business to write full-time, and had recently moved country to live in Barcelona. I was at a stage where I was evaluating what had happened in my life to date, and what I could consider mistakes or positive choices; also the example I was setting for my daughter, and the patterns I was consciously or not consciously following from my mother. Thus, the original idea was an exploration of choices and their consequences within the framework of generations. As the novel progressed, this developed into the wider theme of the search for happiness, and what happiness means at different ages and in different generations. The writing in your story is very artful and creative. Was it a conscious effort to create a story in this fashion or is this style of writing reflective of your writing style in general? 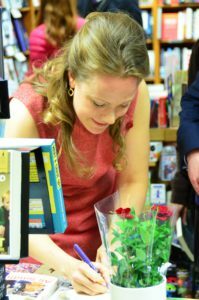 I had always dreamed of being a writer, and at the age of 30, after many years of scribbling stories and poems, I decided to write full-time. This was my chance to create a novel that I hoped would be published and offered to the world. The language that came out when I wrote it was intensely poetic and full of dream and emotion. It wasn’t a style that I had written in previously, but it was the language that I found to express the story of the book – the generations and the regrets and choices, woven into the dream world of the subconscious. As a contrast, in my second novel, I wanted to write in a style that was a clean, straightforward narrative. After the intense poetry of The Woman Behind the Waterfall, I wanted to focus on story and character rather than the beauty of the words. Both Angela and her mother are both detailed characters that continue to develop in the story. What were the driving ideals behind the characters’ development throughout the story? The character of Angela was intended to express the pure creative state that children exist in before their thought-patterns have been set by the surrounding world. I had observed in my own children this magical state when they hadn’t yet been told what was true and what was not, and so everything was possible. With Angela, I take this a step further and allow her to merge with the natural world. However, as the book progresses, she understands that she will lose this ability as she becomes an adult. Lyuda, the mother, also goes through a transformation. She has been trapped in a debilitating depression and holds on for the sake of her daughter. When her daughter starts to see and be affected by this, Lyuda has to make a choice to come out of her internal world. This progression was really inspired by the idea of the things we pass on to our children, and the responsibility there is in being a parent, where each of your actions can create a pattern that can pass into your family for generations. I published my second novel, The Unity Game, in May of this year, and I’m currently working on several projects which should be ready starting from 2019. The Unity Game was as different as possible to The Woman Behind the Waterfall, and is a speculative Science Fiction novel set in New York, a distant planet and an after-life dimension. It was a lot of fun to write and it has been getting some great feedback. 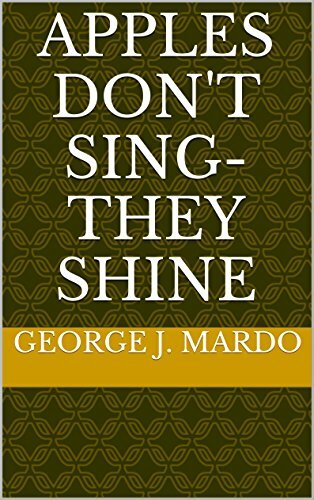 Apples Don’t Sing–They Shine, by George Mardo, is a classic example of literary fiction. The story follows a family over generations from 1930 all the way to 1990. Some of the story does feel dated, but that might be because of historical events that frame the novel. In some ways, it is hard to simply summarize a novel that at its’ core deals with family drama of coming together in times of war and drifting apart after. Mainly it deals with Marie, a German immigrant and her struggles with her son and the family business. Overall, Mardo does a great job with managing what would normally be an overly complicated or possibly self-indulgent topic to write on. The drama of an inter-generational story is more than enough for the reader to follow on and enjoy. The family does become expansive as it should through the decades, but remembering names and their relations can become cumbersome after a while. The conflict between the characters should be familiar to any reader who has a family and especially one that has first generation immigrants. The story at times may seem U.S. centralized, but Mardo expands his scope by including a Ukrainian Monastery, family drama in England, and even venturing into South America. The global scale of his story enhances how far reaching and long the narrative is as we follow the rise and fall of family unity and how families change over the decades. As with any drama set over decades, the story can run the risk of being too brief or skimming over the details of the day to day. Mardo falls into this somewhat by giving us broad, quick snippets of events that happen. He sometimes jumps years ahead in the narrative to get to another point. He may have been able to do this with more skill to not create such choppy pacing, though it does lend to the novel’s biographical story of the families of the Nesbits and Reynolds. In some ways, the main conflict involving the family’s business, Reynolds Enterprise, tends to become too central to what the novel is striving to be, an intimate tale of family and the relations that bind. The focus does seem to shift towards the end and recenter the novel, which is a saving grace. This work is perfect for those that enjoy tales told over generations involving many different characters. A pure drama that is accessible to anyone of any age.